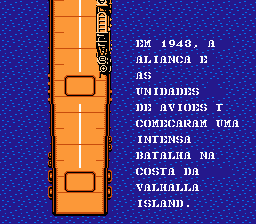 1943: The Battle of Midway is an action shooter for the Nintendo Entertainment System. 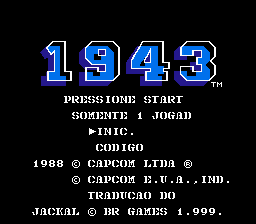 The game was released in US and Japan. 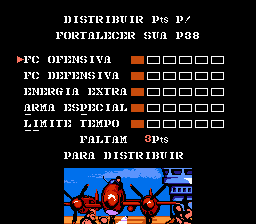 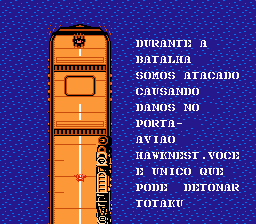 One of the first translations of the translator Jackal (BR Games), the translation is fairly good but without accents. 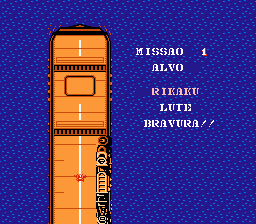 Due to the inexperience of the translator at the time the lack of knowledge in editing the tiles made the translation not fully completed, but that does not stop your fun in this great shooting game, because the texts were translated very well.